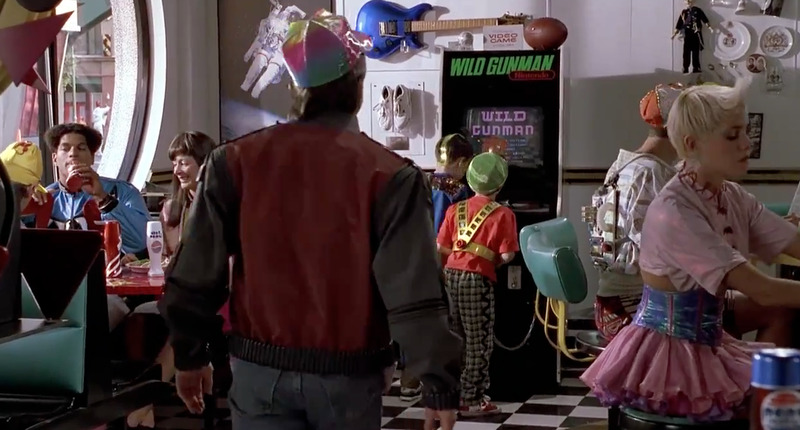 These are the greatest quotes from the 1980's classic movie Back to the Future - Part II. 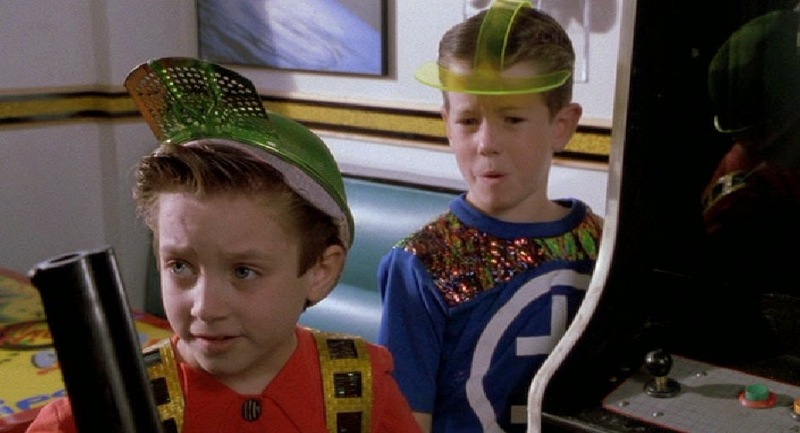 In 1989, they predicted the insane future of 2015 and we're a few months away from the predicted date. In the movie, Marty travels to October 15, 2015. So, what better time to list our favorite quotes from this classic film? From bojos to buttheads. From roads to power laces. Here are the lines we can't stop quoting from the movie. 50. 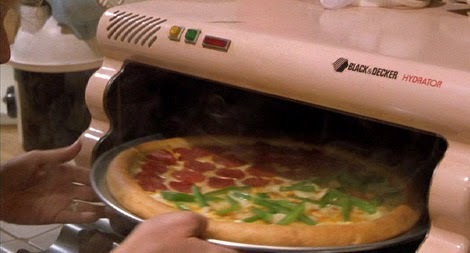 Marty McFly, Jr.: Grandma, when it's ready, could you just shove it in my mouth? 49. Television announcer: Broadcasting beautiful views 24 hours a day: you're tuned to the Scenery Channel. 48. 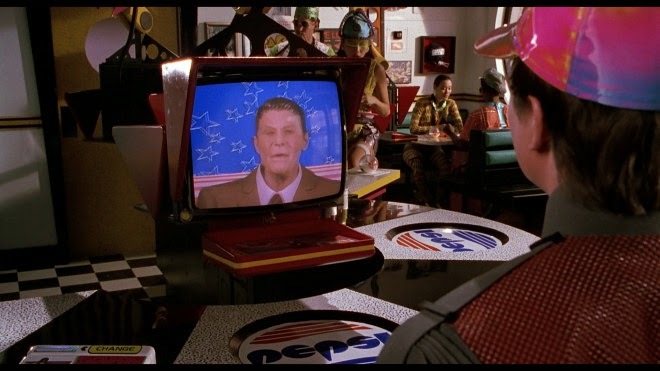 Ronald Reagan Video Waiter: Welcome to the Cafe 80's, where it's always morning in America, even in the afternoon. 47. Marty McFly: Oh, this is heavy, Doc. I mean, it's like I was just here yesterday. 46. Griff Tannen: Well! Since when did you become the physical type? 45. 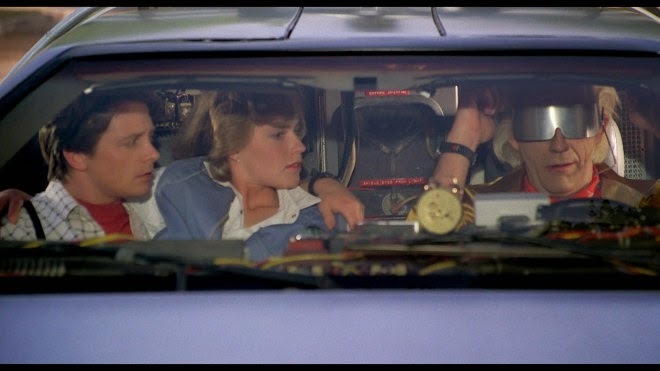 Doc: Oh, and Marty, be careful around that Griff character. He's got a few short circuits in his bionic implants. 44. Marty McFly: I'm fine, I'm fine. It's just that you're so... you're so... big. 43. Doc: Marty! What in the name of Sir Isaac H. Newton happened here? 42. Marty: Uh, Jennifer... I don't know how to tell you this, but you're in a time machine. 41. 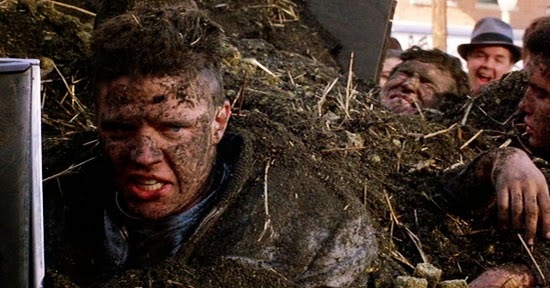 Young Biff: Manure! I HATE manure! 40. 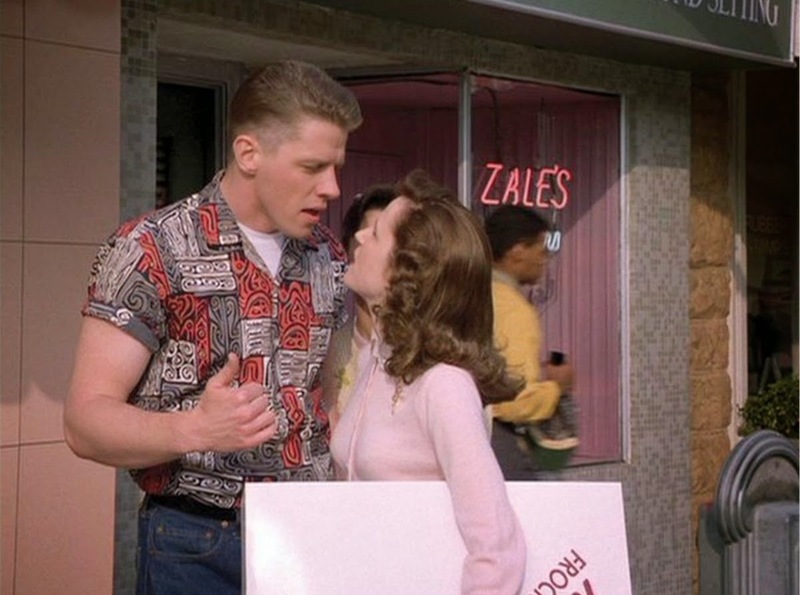 Lorraine: Biff Tannen, I wouldn't be your girl even if...even if you had a million dollars. 39. 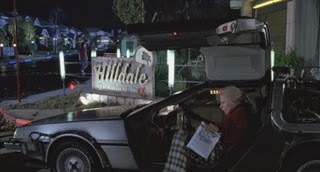 Doc: No, it's Hill Valley. Although I can't imagine Hell being much worse! 38. 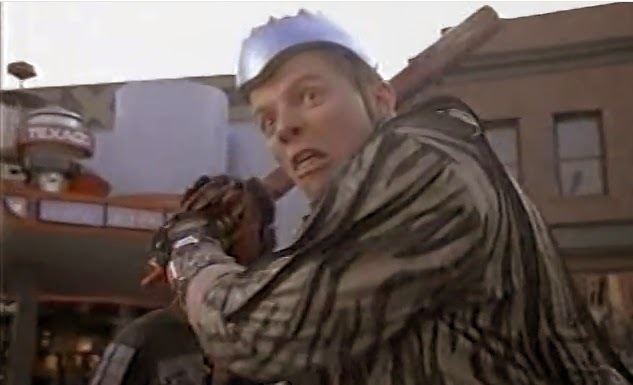 Young Biff: Who you callin' "butthead", Butthead? 37. Lorraine: 2015? You mean we're in the future? 36. S. S. Strickland: Is that liquor I smell Tannen? 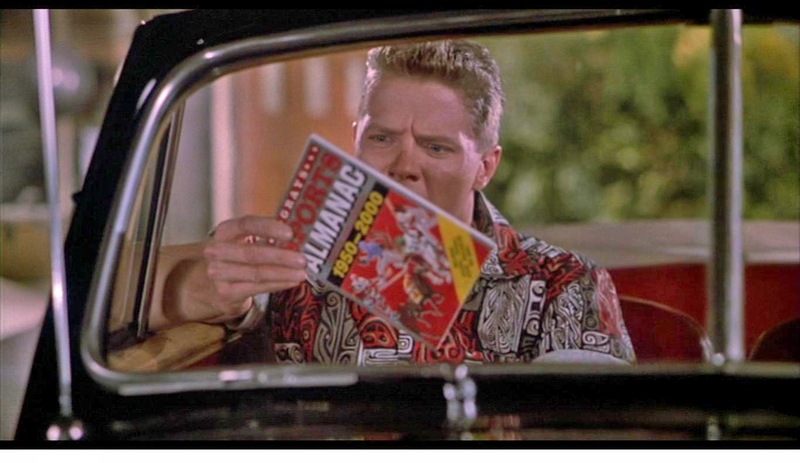 Young Biff: Ahhh, I wouldn't know. I don't know what liquor smells like, cuz I'm too young to drink it. 34. Marty McFly: I'll show you, kid. I'm a crack shot at this. 33. Video Game Boy #1: You mean you have to use your hands? Video Game Boy #2: That's like a baby's toy! 32. 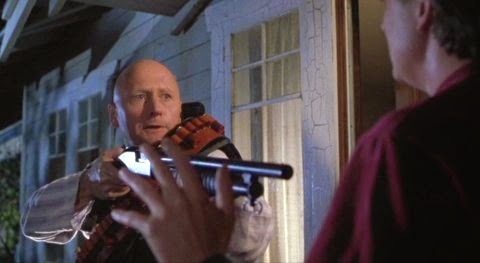 Old Biff: Tough break, kid. Must be rough bein' named after a complete butthead. 31. 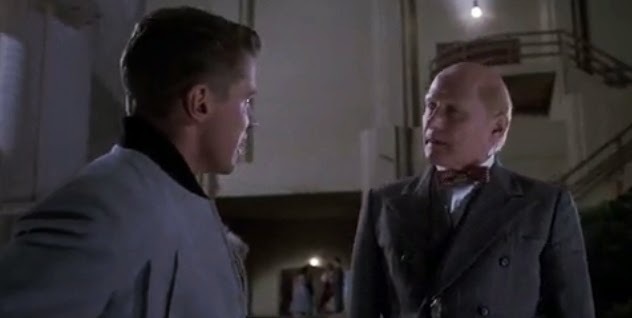 S. S. Strickland: I've never seen you before in my life, but you look to me like a slacker! 30. Marty: There he is, Doc! Let's land on him, we'll cripple his car. 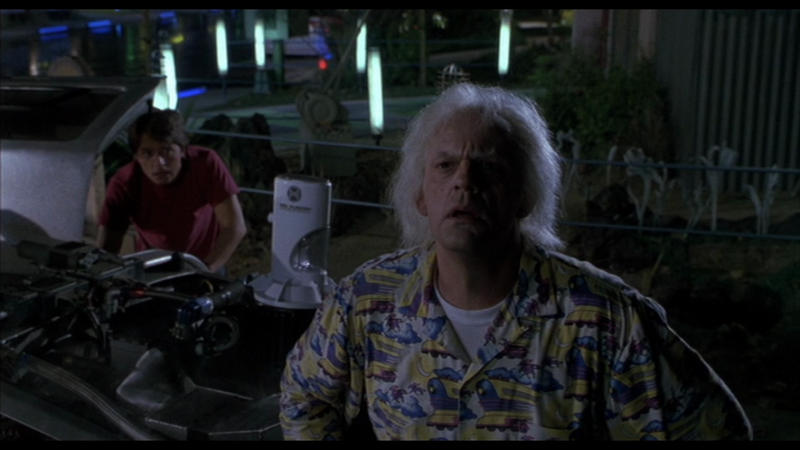 Doc: Marty, he's in a '46 Ford, we're in a DeLorean. He'd rip through us like we were tin foil. 29. Western Union Man: Western Union. Actually a bunch of us at the office were hoping that you could shed a little light on the subject. You see, we've had this envelope in our possession for the past seventy years. 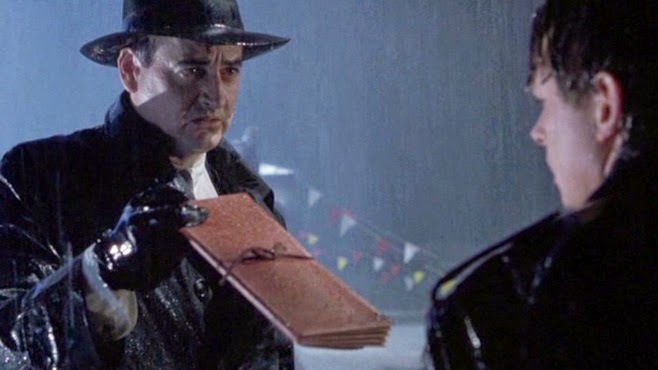 It was given to us with explicit instructions that it be delivered to a young man of your description answering to the name of Marty at this exact location, at this exact time, November 12, 1955. We had a little bet to see if this "Marty" would actually be here. Looks like I lost. 28. 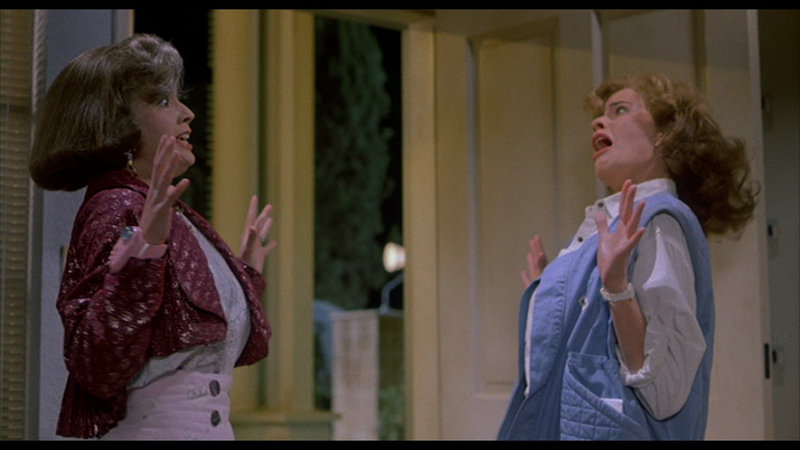 Marty: Mom, I just want to know one thing. Where's my father? Where's George McFly?! 27. 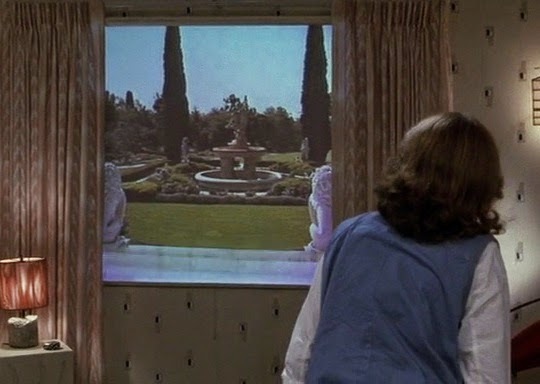 Lorraine: Marty... George, your father is in the same place he's been for the past 12 years. Oak Park Cemetery. 26. 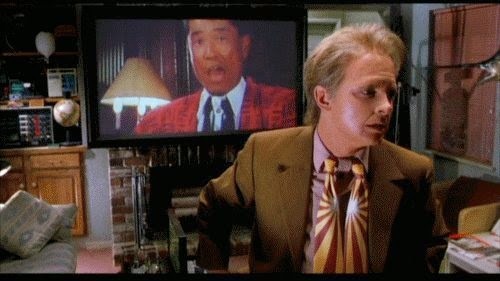 Mr. Fujitsu: MCFLY!! READ MY FAX!!! 25. 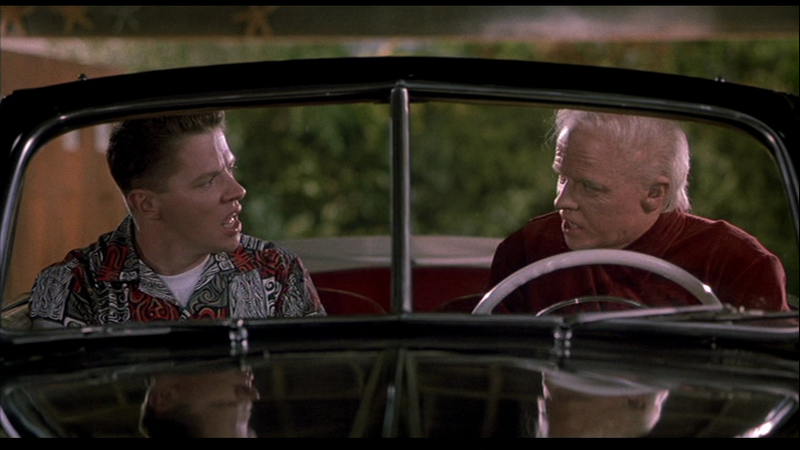 Biff: Oh, that's about as funny as a screen door on a battleship. 24. Young Jennifer: I'm old! 23. Biff: Suppose it's poetic justice. Two McFlys with the same gun. 22. Marty: hey little girl! I need to borrow this...hoverboard? 21. 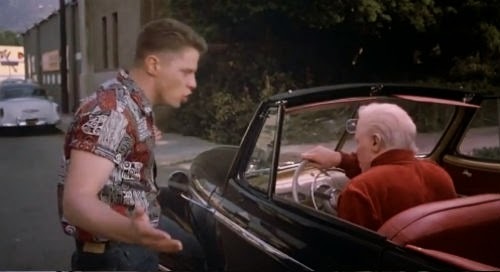 Biff: "...Get the h**l out of my car old man!" 20. Doc: I went to a rejuvenation clinic and got a whole natural overhaul. They took out some wrinkles, did hair repair, changed the blood, added a good 30 to 40 years to my life. They also replaced my spleen and colon. What do you think? 19. Young Doc: Nice talking to you. Maybe we'll bump into each other sometime again in the future. Older Doc: Or in the past. 18. 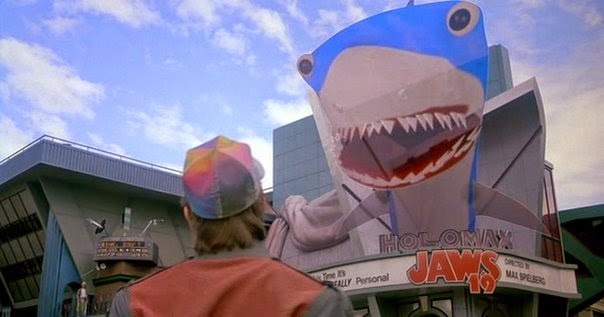 Marty McFly: Shark still looks fake. 17. 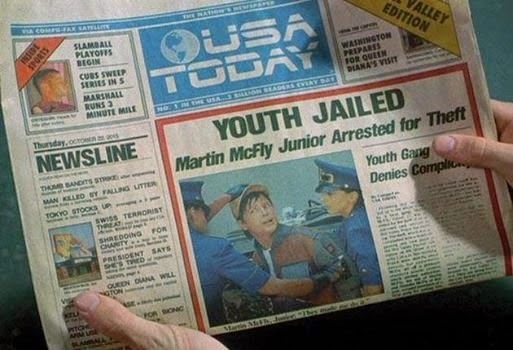 Marty McFly: Within two hours of his arrest, Martin McFly Jr. was tried, convicted and sentenced to fifteen years in the state penitentiary? Within two hours? Doc: The justice system works swiftly in the future now that they've abolished all lawyers. 16. 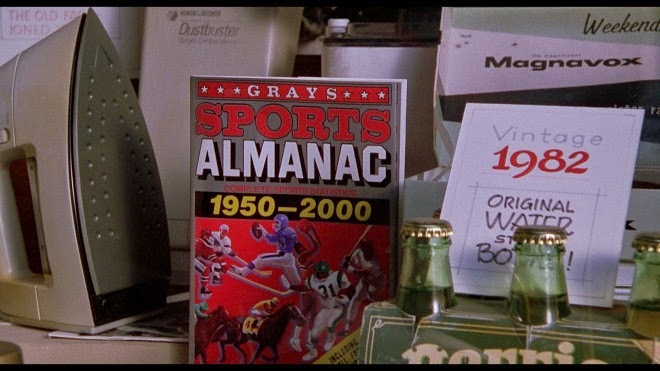 Marty: The almanac! Son of a b***h stole my idea! 15. Doc Brown: I foresee two possibilities. One: coming face to face with herself thirty years older would put her into shock and she'd simply pass out. Or two, the encounter could create a time paradox, the result of which could cause a chain reaction that would unravel the very fabric of the space-time continuum and destroy the entire universe! Granted, that's worst-case scenario. The destruction might in fact be very localized, limited to merely our own galaxy. 14. Doc: Unbelievable, that old Biff could have chosen that particular date. It could mean that that point in time inherently contains some sort of cosmic significance. Almost as if it were the junction point for the entire space-time continuum. On the other hand, it could just be an amazing coincidence. 13. Doc: The time-traveling is just too dangerous. Better that I devote myself to study the other great mystery of the universe...women! 12. Marty: Nobody calls me chicken. 11. 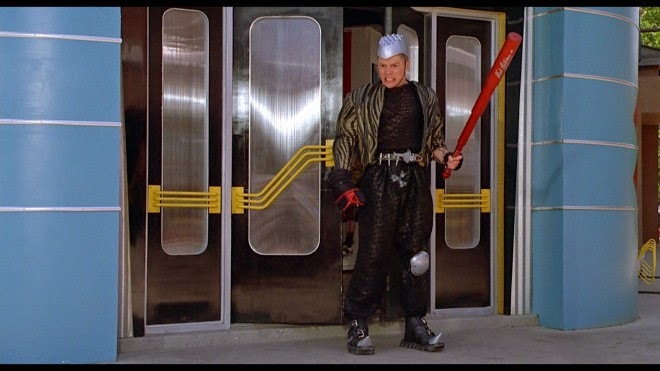 Griff Tannen: "Batter up!" 10. 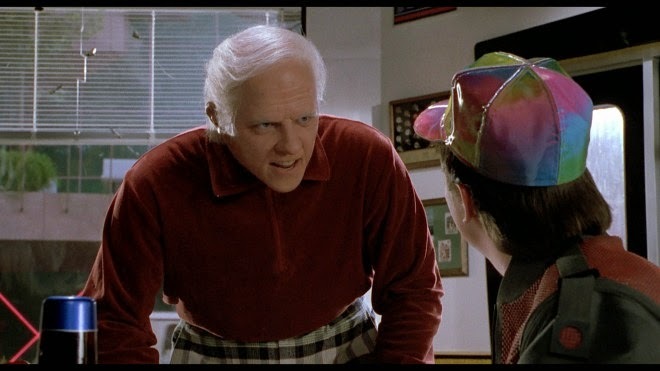 Young Biff: That's very nice. Thank you very much. Now why don't you make like a tree, and get out of here? 9. Marty McFly: This is heavy. 8. Old Biff: It's LEAVE, you idiot! "Make like a tree and leave." You sound like a d**n fool when you say it wrong! 7. 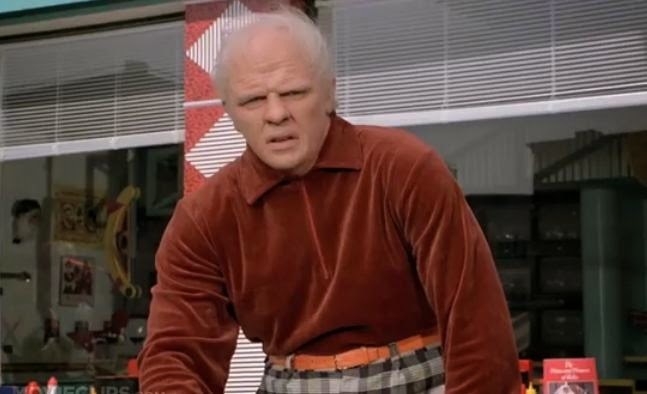 Old Biff: There's something very familiar about all this. 5. 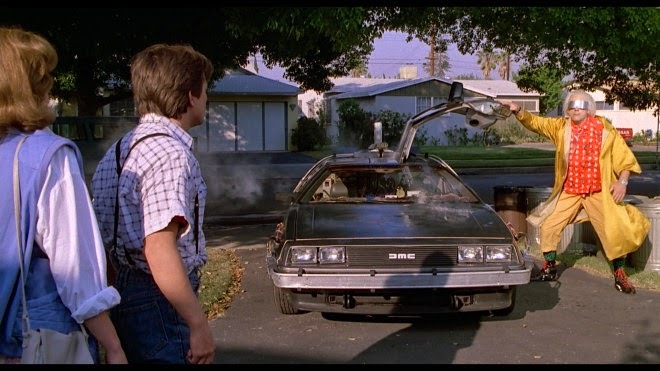 Marty: I know, you did send me back to the future, but I'm back, I'm back from the future. 4. 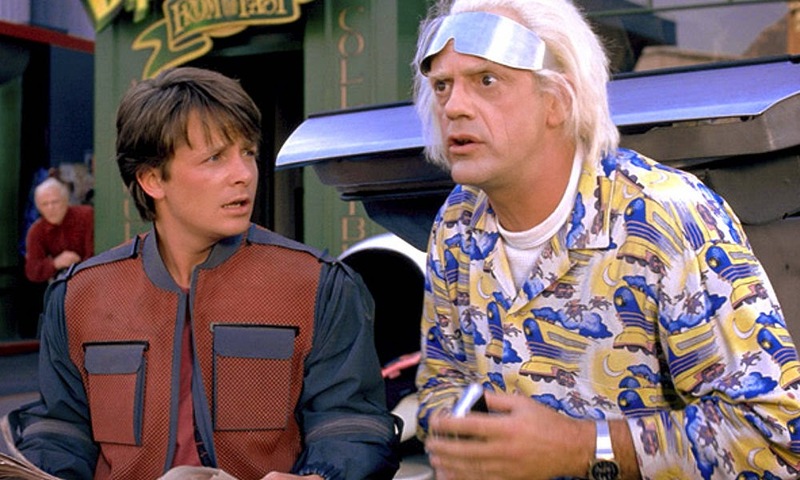 Data: Hey McFly, you bojo, those boards don't work on water! Whitey: Unless you've got POWER! 3. Doc: Roads? Where we're going, we don't need roads. 2. 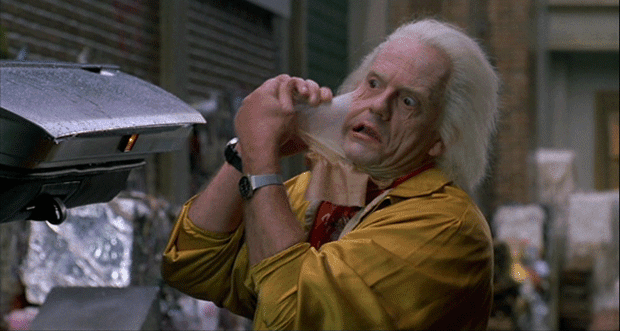 Doc Brown: No, no, no, no, no, Marty. Both you and Jennifer turn out fine. It's your kids, Marty. Something gotta be done about your kids! 1. 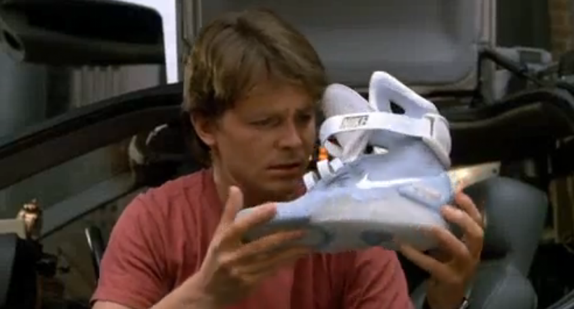 Marty: Power laces! Alright! 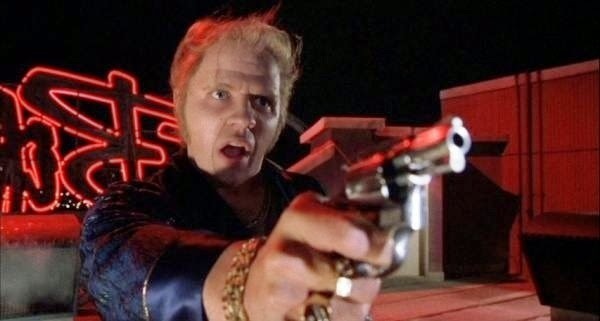 Which is your favorite line from Back to the Future - Part II? Which is your favorite scene? 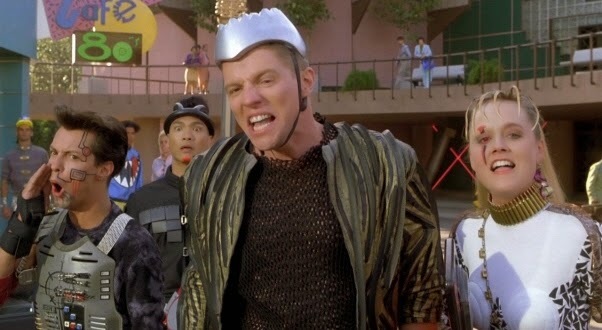 Can We Dress Like Marty McFly in BACK TO THE FUTURE II Yet? 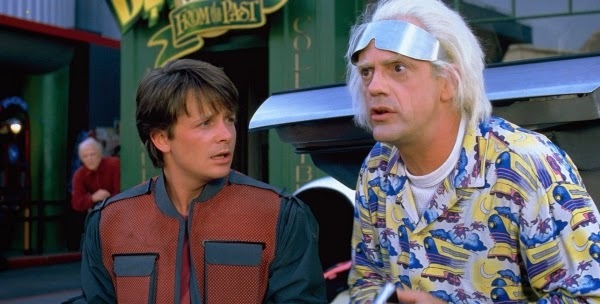 Hey Geek Twins,Lets kickstart our flux capacitors and warp back in time. We might just be able to buttheads and stop crime! Those were fun movies. A time machine in a Delorean is a great thing. I still want one of those flying skateboards. These are great. I loved these movies. Poll: Should Aging Actors Come Back for Sequels?